What to do in Paris at Christmas? Christmas will soon be upon us. Every year in Paris the streets are brought to life with lights, decorations, and the countless different events and activities that are organized. What is there to see and do in Paris for Christmas? There are a number of Christmas markets in Paris, each with its own character. Some are huge, whilst others are smaller and more cosy. But whichever one you go to, a magical atmosphere is guaranteed! 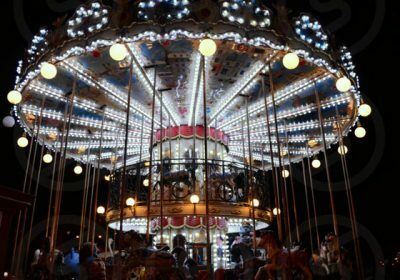 Children love the holidays, so why not take them on a fairground ride to get into the Christmas spirit? There are countless rides set up all over Paris for children to enjoy and it also makes for a pretty picture too. 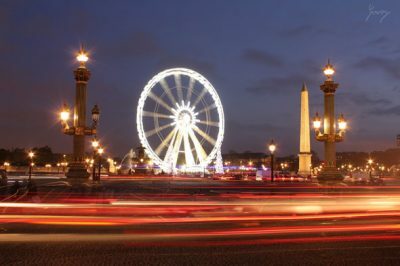 A huge Ferris wheel is installed on the Place de la Concorde for the festive season. Sometimes it’s kept up for longer than expected. For young and old, this is an essential attraction for those who want to spend some time with friends and family! Here you can enjoy a wonderful view of Paris during the holidays! Christmas is all about giving and showing your love for your friends and family. 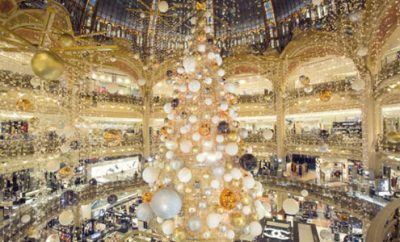 To find the best presents, we recommend going to the big department stores in Paris. These major stores are beautifully decorated for the holidays and all try to out-do each other. The windows of these department stores certainly won’t disappoint you. These beautiful displays will fill you with festive cheer and get you in the holiday spirit. It’s the perfect time to ‘faire du lèche-vitrines’ (go window shopping) in Paris. 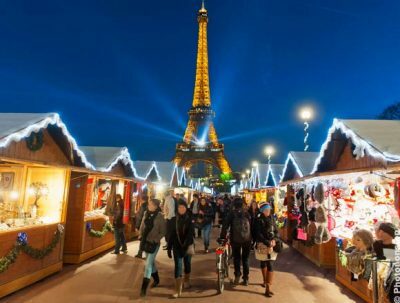 There are plenty of ways to enjoy Christmas in the City of Light. Paris really is wonderful at this time of year. The weather is getting colder, so make sure you wrap up warm… there might even be some snow in the capital, who knows? But don’t let the cold stop you from enjoying Christmas in Paris. If you want more advice on celebrating Christmas in Paris, check out our article on the best Christmas markets in Paris! We wish you a Merry Christmas and a Happy New Year!